This post is very hard for me to write. I have thought about writing it over and over for the past few weeks. Each time I talk myself out of it. I come up with numerous reasons not to write it - I don't want to open myself up to judgement, I don't know if I want people to know that this happened, I still carry too much guilt, I don't want my daughter to think she wasn't loved... the list goes on. Even now sitting in front of the computer screen I am not sure that I will be able to find the right words to express my feelings correctly. I have finally convinced myself that I should write this out and that I should not be ashamed. I don't want to send the message that this is something to be ashamed of. Becoming a mother did not go the way that I always thought it would. I spent so many years of my life dreaming about this that I had played it over and over in my head so much so it was like I had already lived it. In my dreams it all went well and I was super-mum and had the perfect baby. Obviously that was an unrealistic expectation, but in reality I would have been happy just to have a smooth adjustment into motherhood and a special bond with my baby. I thought there was no way I wouldn't get this so I never feared that I would not be a good mum. It had been my life long mission to be a mum. I felt as though it was my purpose for living and I have always been good with babies so I never had any reason to doubt myself. Until my baby was born. There were a lot of reasons that lead me to a very sad place. I was warned at my first hospital visit that my family history with mental illness could make me more susceptible to post natal depression. According to the questionnaire they make you do I was only medium risk, but they also said my birth experience would have a huge impact as well. Unfortunately for me my birth experience was incredibly traumatic for me. I think this is when the depression first started to creep in. Nothing had gone to plan in the past - I wasn't able to get pregnant myself, I had heaps of complications during pregnancy and then to top it all off I couldn't even give birth the way I had wanted to. I felt like I had failed. I felt like I was hopeless at being pregnant and giving birth so therefore I would be hopeless as a mum. In reality I had no control over my pregnancy complications or my birth experience so I shouldn't have blamed myself but in my cloud of depression all I could think was that it was all my fault. I am still ashamed to admit that I did not feel an instant overwhelming bond with my baby. Of course I did love her and she was extremely wanted, but I didn't feel that bond that everyone tells you mothers will have straight away. I imagined that I would give birth and the baby would be placed on my chest, I would hold her for the first time and there would be this overwhelming outpouring of love. Tears would flow as she had her first cry and I wouldn't be able to notice anything in the room except her. My experience was very different. She was delivered by emergency c-section and it was a very quick, unexpected and drug fuelled experience. When she came out I wasn't expecting it yet. The operation had just begun and I was still in shock that I was having a c-section and wasn't prepared to meet her so quickly. She came out a grey colour and not crying (most likely because of the copious amounts of Pethidine and Morphine they had given me). She wasn't passed to me, but whisked away. I could see her from across the room, but I was so dazed and confused from the Pethidine that I couldn't really focus on her. After a few minutes T brought her over to me, but I couldn't hold her because I was shaking so uncontrollably from the pethidine. A little while later her and T were taken to recovery and I was left lying there on the operating table alone (well except for the 11 or so drs and nurses in the room). Instead of ravishing my new baby with hugs and kisses in the first few moments of motherhood, I was instead lying on a table listening to nurses talk about how they thought they had stuffed up the knot in one of my stitches. It wasn't exactly the joyous experience I had imagined. Nevertheless I went home happy. I had my baby that I had always wanted. The first two weeks were easy. She ate, pee'd & poo'd then slept. Apart from waking multiple times for night feeds and thus being sleep deprived, life was going along smoothly. Once T went back to work it all changed. I was bombarded with differing and conflicting advice from all directions which made me second guess everything I was doing. I lost confidence in my ability to do things. I was questioning my instincts. I had a very unsettled baby which made everything worse. Drs kept telling me it was normal for babies to cry all the time and get rashes and they acted like I was just a paranoid first time mum. On top of this people were telling me it was my fault. If I was upset she would be upset, but I was upset because she was upset, so it was a vicious cycle of emotions. It all came to a head when I had my second midwife visit. I had been eagerly awaiting the visit in the hope that it would restore my confidence. She would reassure me that I was doing a good job and I would feel more relaxed. Instead she walked in complaining that she shouldn't have to deal with home visits as midwives should only need to deal with babies for the first three days after they are born. She set up the scales and weighed her then proceeded to tell me that I was obviously starving my child because she wasn't gaining enough weight. When I mentioned her colic she told me colic isn't real and that babies only cry because they are hungry so every time she cries I needed to feed her. I told her that she would only sleep on me so I could never 'sleep when the baby slept'. She told me I should sleep with her on me. When I questioned the safety of this given it goes against all the SIDS rules they teach you her response horrified me. She looked me up and down and said it wouldn't be unsafe because I wasn't fat enough to smother anything. Instead of boosting my already shattered confidence, her visit did the complete opposite. I was now not only being offered unsolicited advice that I was doing things wrong, but I was being directly told by a professional that I was essentially a bad mum. That visit broke me. I felt abandoned by the professionals who were meant to be there for me. I felt ridiculed by my friends (who I'm sure thought they were being helpful at the time). I felt unsupported by my family. I felt like I was all alone, charged with the task of looking after this poor helpless baby who I was literally terrified of at times. I would lay in bed fearful of when she woke up because I knew it meant hours of screaming, vomiting, crying and stress. I knew it could take me up to 7 hours to get her to go back to sleep. I knew I wouldn't eat because I would spend the entire time trying to comfort her that I would forget about my own needs. I also knew that I wouldn't sleep at night for fear of it all happening again the next day. I was stuck in a vortex of darkness. I couldn't see a way out. I started to think she would be better off without me. I started thinking she deserved a better mum, one who knew what she was doing. I felt disconnected from her. I felt great shame because I just didn't know how to establish a close bond with her. I felt so guilty about this because I had spent years wanting her. I wanted her with me all the time because I was so desperate to calm her and make her better, but at the same time I thought I was the source of her pain. It was a catch 22. I couldn't do anything right. I was spinning out of control. The only good thing that midwife did was give me the number for the government health nurses. The following day in complete despair I called them to arrange a home visit. I was sure I was failing and that my child was not thriving because of me, but I wasn't about to give up on her or our relationship. I was determined to speak up and ask for help. I was not going to let my depression affect her. I was determined to get better for her. I wanted to be the best mum for her. It was my last ditch effort to get help. I felt like I had spent the last two weeks shouting from the rooftops that I needed help yet had been ignored or shutdown by everyone. Thankgod for the health nurse (who immediately recognised my signs of post natal depression). She was my saviour. When she came I felt instantly at ease. I broke down and told her everything I was feeling. I was petrified that they would take my baby away from me, but I was also desperate for help. She sent me to hospital to get help, with bubba. Thankfully while I was there the paediatricians finally listened to me and diagnosed bubba with a cows milk protein allergy. I was not imagining her symptoms and they were not hungry cries. She was in pain because her body could not digest her food properly. My instincts were right, the drs had been wrong. This restored my confidence in my own abilities. I finally felt like somebody had heard me. The hospital linked me up with a psychologist who I still see and the health nurse continued to visit me at home when needed. Finally I had the support system I had craved. My family also became incredibly supportive. After the first few weeks when everything started to get back on track I started to enjoy being a mum, the way I had always imagined I would. I created an incredibly close bond with my baby. Although it wasn't instant it is now extremely strong. I urge those who suspect they may be depressed or think they aren't coping to please seek help. Speak up. There is huge societal pressure to keep quiet about post natal depression. People don't seek help for fear of being judged. This just makes the problem that much worse. Post natal depression is nothing to be ashamed of and it does not mean that you don't want or love your child. It is a lot more common than people realise and it does not discriminate. There are numerous professionals out there trained to deal with it and they will not judge or ridicule you for it. Instead they will help you, guide you and support you for as long as you need. I have spoken out about my experience in order to help deter the stigma surrounding post natal depression (and mental illness in general). 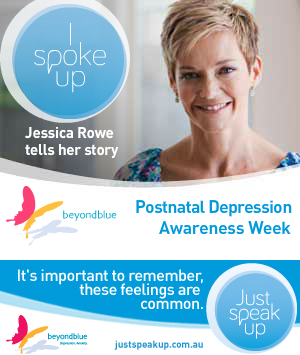 This week is post natal depression awareness week. You can do your bit by fundraising, sharing your story or simply spreading the awareness that PND exists and it is nothing to be ashamed of. If you are experiencing any signs of PND or would like to know more please visit Beyond Blue or PANDA. It has been extremely hard to lay myself bare and admit my experience to the world, but if it helps just one person to seek help or feel as if they are not alone then it is worth it. At first I did not want to write this incase my daughter reads it in the future and thinks that she was not loved. She was indeed very loved and it was my overwhelming love and desire for her to have the best life possible that lead me to seek help. If she does read this I hope she realises it takes courage and strength to admit that things are not ok. It is not a sign of weakness to admit you need help, it will probably be the single most important gift you can give your child. You can read other stories via the links below. 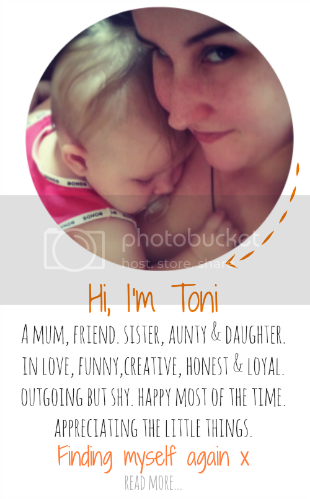 UPDATE: Read why I'm glad I got postnatal depression. I love my government health nurse. I hope my story gives others the courage to keep seeking help even if at first they are ignored or not taken seriously. I wish I knew about PANDA or Beyond Blue when I was suffering. I can't complain though I am lucky to have such a wonderful support team now. It's wonderful you sought help and finally received the reassurance and information you needed. Glad to hear you're back on track and enjoying your baby once again. I am enjoying her so much! I can't stop cuddling her and kissing her. I look forward to spending each day with her now. Thanks Lee-Anne I am hoping that I can play a small part in reducing the stigma. I'm hoping it will be therapeutic too. Wow thank your for those words and bravery in putting them out there. I can relate to everything you experienced, I have tears as I am writing. I was never diagnosed I was ok I think, I was on the cusp but was able to get through it. That first nurse was so un-supportive of you, I also felt like no-one in the hospital cared about what I had just been through. I could write and write about this to you. I did not have a C section but it was forceps and traumatic, when they put my beautiful boy on my chest I just wanted them to take him off as I was so traumatised about what had just happened. I was also so drugged up I could not make any decisions and he also had reflux and cried all day long. I now have baby number two and oh what a difference a good birth experience has made to the baby and the mother! Well done on seeking help, thank you for writing!! I am so glad to hear that having a different birth experience the second time can result in a much better outcome. I'm hoping when I have another it won't be as dramatic, but if it is at least now I am prepared for it. I think the shock and not knowing any different played a huge part in my outcome. How brave of you to write that post and press publish. Reading your post is the first time I am ashamed to say that I am a midwife. That professional ought to be ashamed of herself. SO glad you were able to get help & that you trusted your instincts to follow through with calling for help. Still wiping the tears from my eyes-thanks so much for sharing. Thankfully she was the only midwife I encountered during my pregnancy, birth and post birth who treated me so badly. Clearly she was having a bad day at the time, but I still think being in that position and visiting someone during such a sensitive time after they've just had a baby she should have been a lot more professional and aware of how her actions and words could affect a new mother. Oh lovely! Sending lots of fairy wishes and butterfly kisses your way. I am so glad that you were able to share this. I just know that in doing so you will have made a difference to at least one other mother and probably even more. Toni I am so sorry it all went the wrong direction for you. What a twit the health nurse was. I would write her a letter in hindsight and tell her just how her words affected you. I had a shocker of a first birth (a forceps). I opted for C-sections after that. I suffered PTSD following the arrival of my daughter as a result. Not depression, though I was probably a fair bit of that too. With time, you will develop a thick skin for these medical / health professionals who offer the wrong advice. Especially if you add to your family. They tend to back off a bit after that. I had a run in with a midwife on baby number 6 who just arrived on the wrong foot by me bedside one night and put me into tears! I took issue with it too and she ended up apologising the next day! No doubt she will remember me! I never got the name of the midwife because they just allocate a random one on the day for home visits, but if I did there would have been a strongly worded letter written to the hospital. I mentioned it to other health care professionals while I was getting treatment and they were equally as horrified by her actions as me. I'm pretty sure that they were going to make complaints to the hospital about it. I am feeling much better now. I still have some days that are harder than others, but nowhere near the way I was feeling in the beginning. Toni thank you for being so brave and honest. I have so much I'd like to say to you, but really the only thing that matters is this: I hear you. Motherhood can be so confusing and isolating. The isolation being the worst. That midwife is evil. She should not be working in a field which requires sensitivity and nurturing. Her attitude was so unfair, I'm sorry you had to experience that when you were so low. You were spot on about the SIDS thing and Colic. What a mole! I recently wrote about my struggles with depression post baby and I felt so exposed at the time and it took all my courage to post it. I scrutinised the decision at the time but it was the best thing as readers responded so warmly and it gave me so much encouragement. I hope that you too experience this and feel some kind of release from the chains that depression holds you in. Admitting where you're at is such an important and there's is no shame in that. It was so very surprising to me to feel so scared and not in control of my emotions. 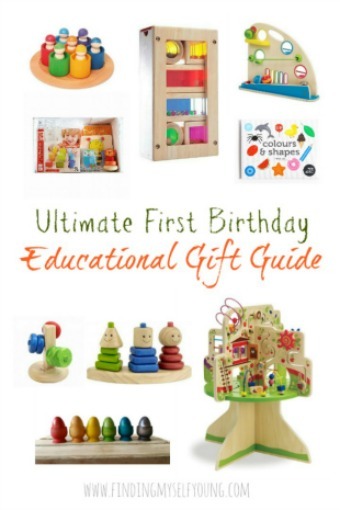 It was also very out of the blue because I felt so prepared to be a mum. I feel sooo much better now. It took me 9 months to admit I was suffering for PND, and really I had AND before hand and no one noticed. That made me angry for a long time. I felt guilty for a long time that I didn't connect with my youngest after birth. The other three it was instant, but not her. Now I know it's not because I loved her less, but because I just couldn't. And three years later, the world is sunny again, and I feel we have finally left the black dog behind. Yes being at home alone all day with a baby makes it so much more isolating and lonely. Of course now that I'm feeling better I love getting to spend each day with her. You are very brave to share your story. My friend's sis did just this in their local paper. Here is the link. http://www.bordermail.com.au/story/1927475/out-of-the-darkness-a-story-of-hope-love-and-courage. You are definetely not alone and I hope you continue to find and recieve all the love and support you need. Oh Laura I just want to hug you! Thank you. People like you make me feel better about sharing my story. I'm glad you have a mental health plan in place, in time you will start to feel normal again. My daughter is also 4 months old and if I hadn't been exposed to mental illness through my family I probably would not have realised what was wrong or sought help as soon so please don't worry that it has taken 4 months. In the whole scheme of your childs life 4 months is really just a tiny part and thankfully the babies have no recollection. Yea I felt so bad in the beginning.